NFU Scotland is urging dog owners to be responsible and control their dogs on farmland this spring. 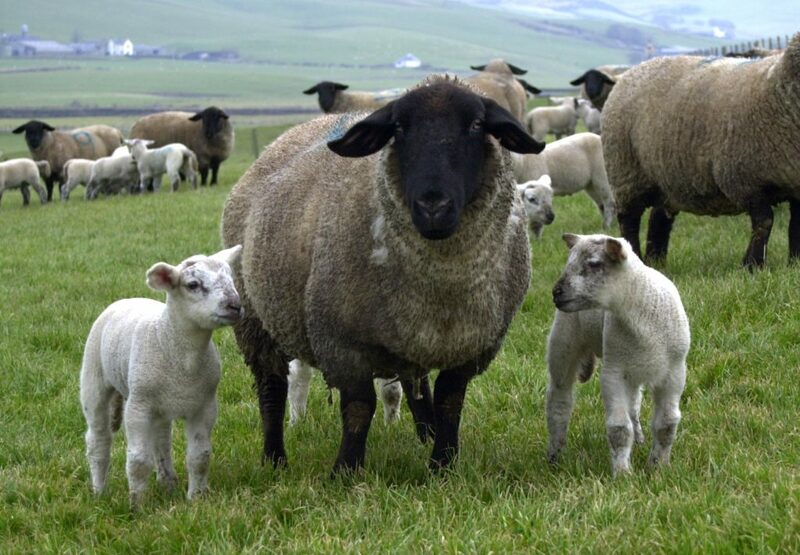 Marking the spring equinox – the first day of spring, this year on March 20 – NFUS wants owners to pick up after their pets and keep them on a lead around livestock. With many lambs now in fields, it is imperative that dogs are under the full control of their owners and attacks on sheep are avoided. This message ties in with the union’s awareness-raising campaign, Control Your Dog on Farmland, launched last month to tackle the blight of irresponsible access by dog walkers in Scotland’s countryside. 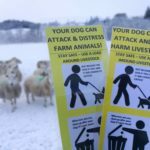 Attacks on livestock on farmland are still on the increase, as is the problem of dog fouling which can cause livestock to contract dangerous diseases. The national campaign ties in with key partners and complements other work in which the NFUS has played an integral role, including the Scottish Partnership Against Rural Crime’s recently launched campaign. The key messages, aimed at farmers and dog owners, include: Be informed – know your responsibilities under the Outdoor Access Code; Plan ahead – know your route, ensure you have poo bags and a lead; Control your pet – keep dogs on a lead around livestock; Know the steps to take if things don’t go to plan – including cattle charging, dog escapes; Don’t leave it hanging – picking up your dog’s poo is not enough, take it with you and put it in a bin, even if on the fringes of farmland. Do not just ‘flick it’ into the bushes. In early December, NFUS surveyed farmers, crofters and landowners about the issues they have with irresponsible access, either through livestock worrying by dogs, or the impacts of owners failing to pick up after their pets on or near farmland. 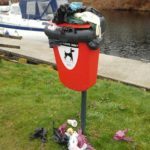 The survey had more than 340 responses, which showed that: 72 per cent of respondents had an issue with livestock worrying on their land; 100 per cent of survey respondents said they have an issue with dog fouling on their land – this included plastic bag pollution as well as instances where livestock have contracted diseases from eating dog poo and plastic bags; 84 per cent of responses felt the Outdoor Access Code requiring ‘on a lead or under close control’ did not provide sufficient protection to them or their livestock. According to Police Scotland a total of 338 incidents of livestock worrying were reported in 2018, with 131 incidents resulting in police conducting investigations. This included sheep, cattle, horses, and other less known species such as llamas and alpacas. However, this issue is still hugely under-reported, something which the campaign seeks to tackle. 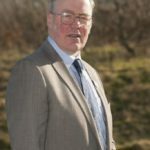 Andrew McCornick, NFU Scotland president, said: ‘Spring is a fantastic time on Scotland’s farms and our countryside is blossoming. Farmers and crofters are working around the clock to look after their livestock and deliver lambs and calves. ‘Attacks on livestock happen all too often in Scotland and we are really pleading with the public to keep their dogs on a lead, avoid fields with livestock if possible and be responsible when walking on farmland. ‘The industry can no longer tolerate the problem of dog owners who do not control their dogs on farmland. ‘Many people underestimate the damage dogs can do to livestock – whether that is attacking them when being off a lead or causing them to contract dangerous diseases through their poo – we need dog owners to take responsibility for controlling their dogs whilst out enjoying the countryside. ‘You think your dog is ‘just playing’ with the sheep but that could change in an instant and you will have no way to stop the dog when it starts to attack.